Welcome to the first blog in a series about Thailand! 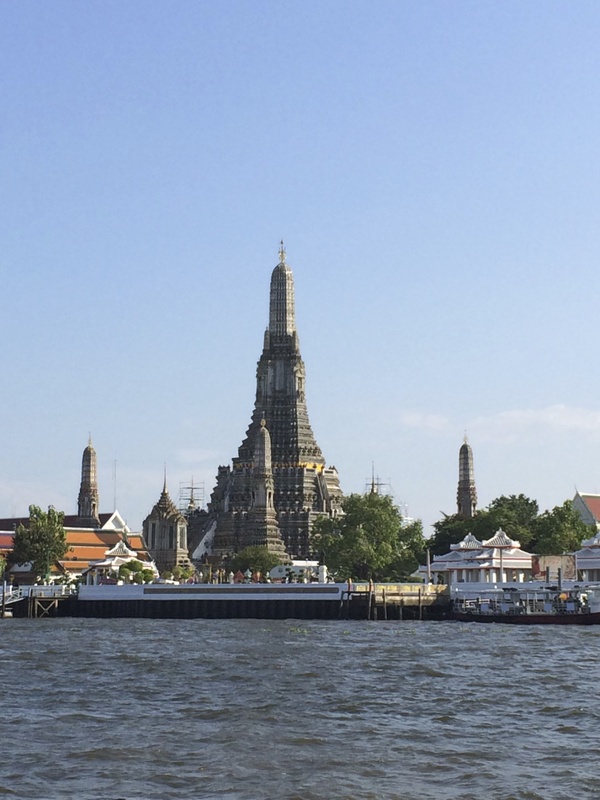 I’m starting off with Bangkok, but since there is so much to see and do, I’m going to split Bangkok into two posts. This first one will be about a few of the many many beautiful temples! 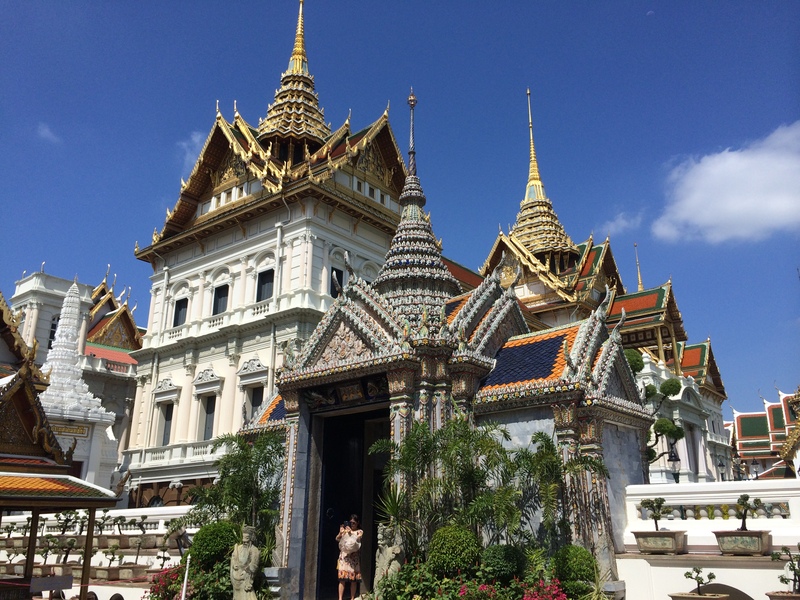 The Grand Palace of Bangkok (Phra Borom Maha Ratcha Wang) is one of the most visited tourist attractions in the world, with an estimated 8 million tourists visiting per year. 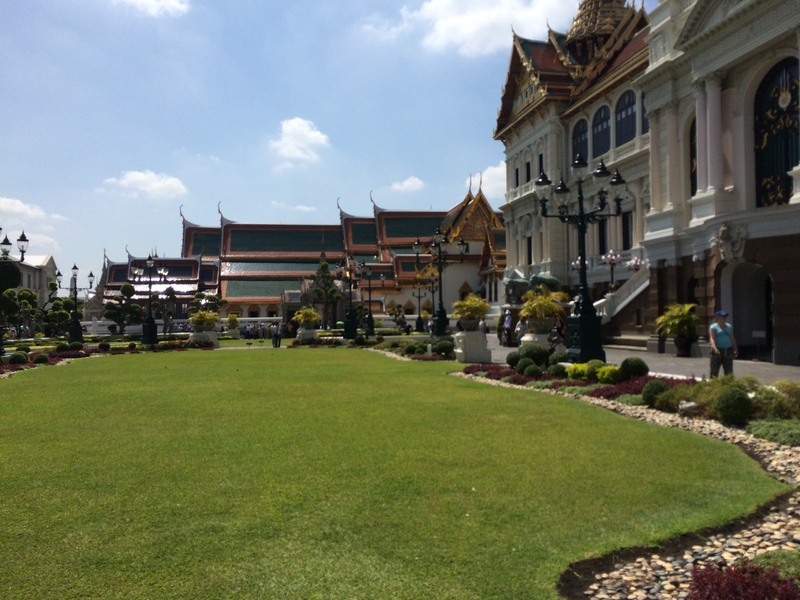 The palace has been the official residence of the Kings of Siam since 1782. 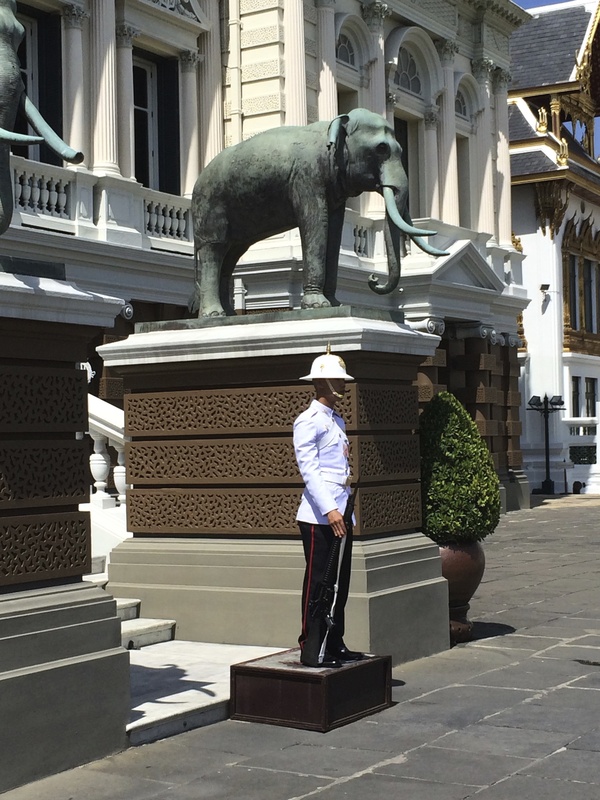 Although the current King, Bhumibol Adulyadej, doesn’t live there, the palace is still used for official events. The complex of buildings, halls, pavilions, lawns and gardens is huge. Give yourself 2-3 hours to walk around it all. 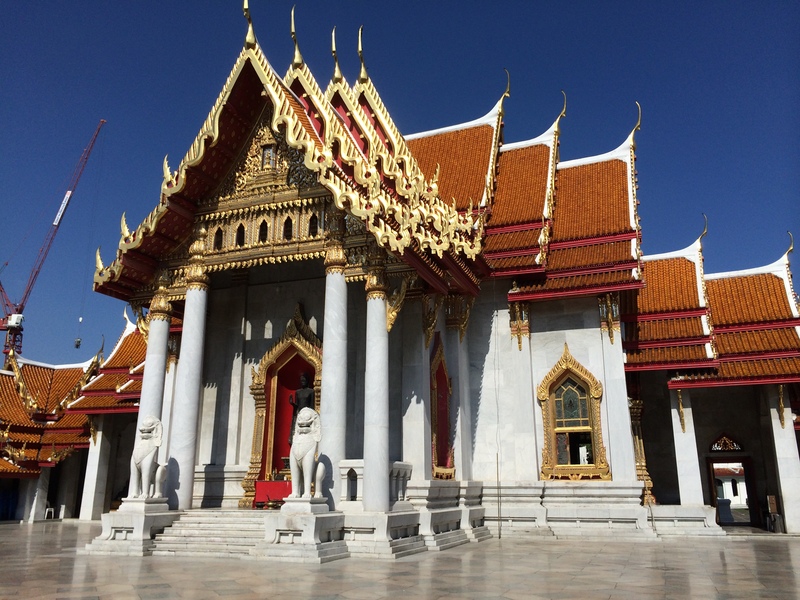 “Don’t Miss This” tip – As with most temples, in order to enter the Grand Palace, you must wear clothes that cover your knees. Women should also cover their shoulders. 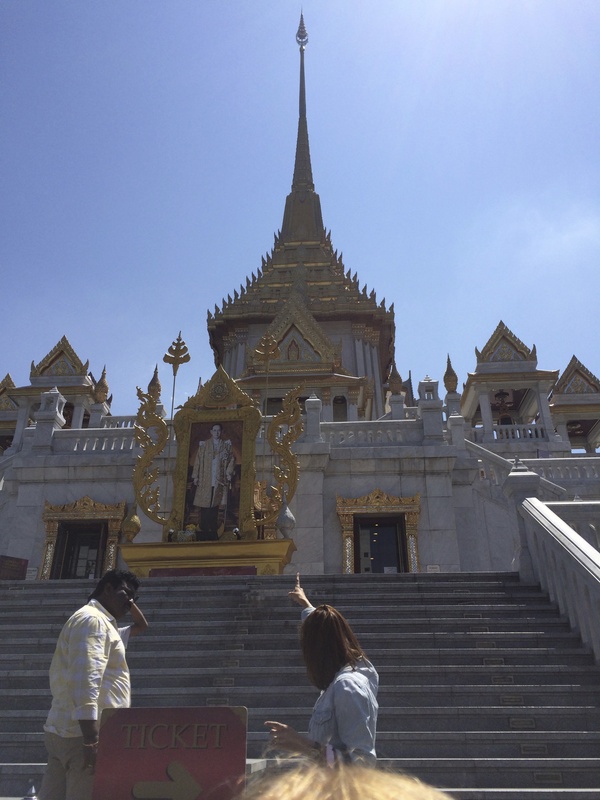 Inside the Grand Palace is Wat Phra Kaeo, the Temple of the Emerald Buddha. 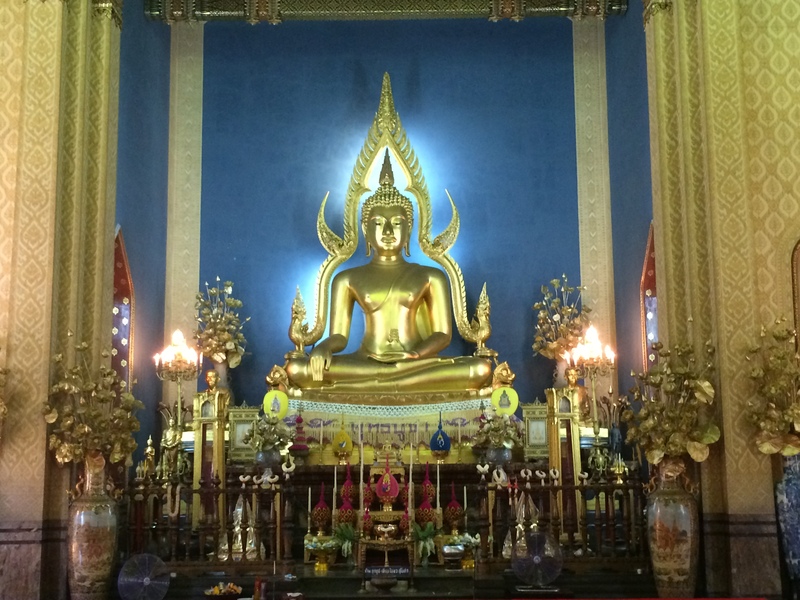 It is considered one of the most sacred sites, and the most revered Buddha image, in Thailand. 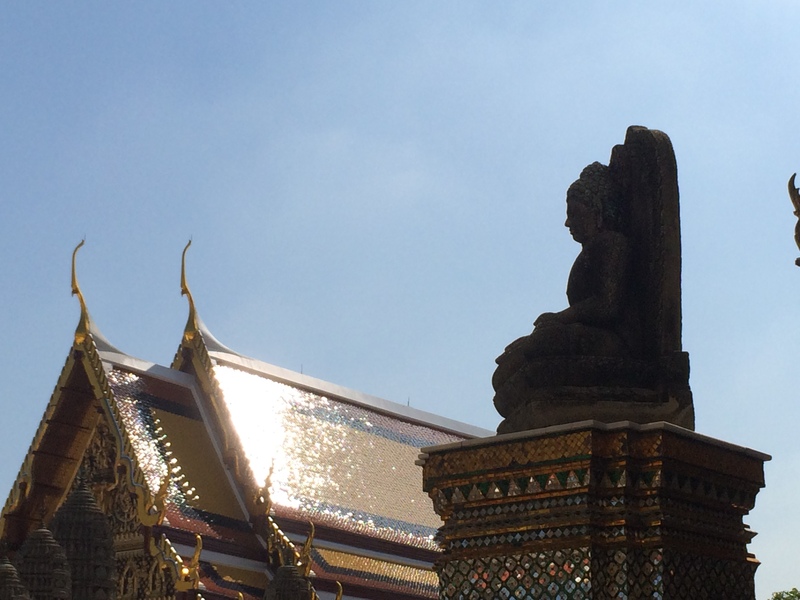 The Emerald Buddha is cut from one piece of jade and the clothes are made from gold. They change his clothes 3 times a year in a royal ceremony. No cameras allowed in here! 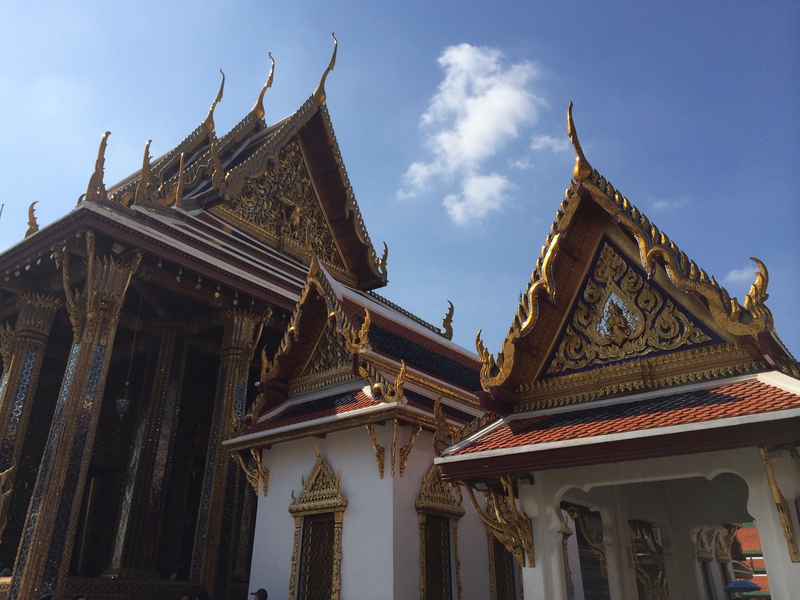 Wat Po is a Buddhist temple, right near the Grand Palace, and the oldest temple in Bangkok. 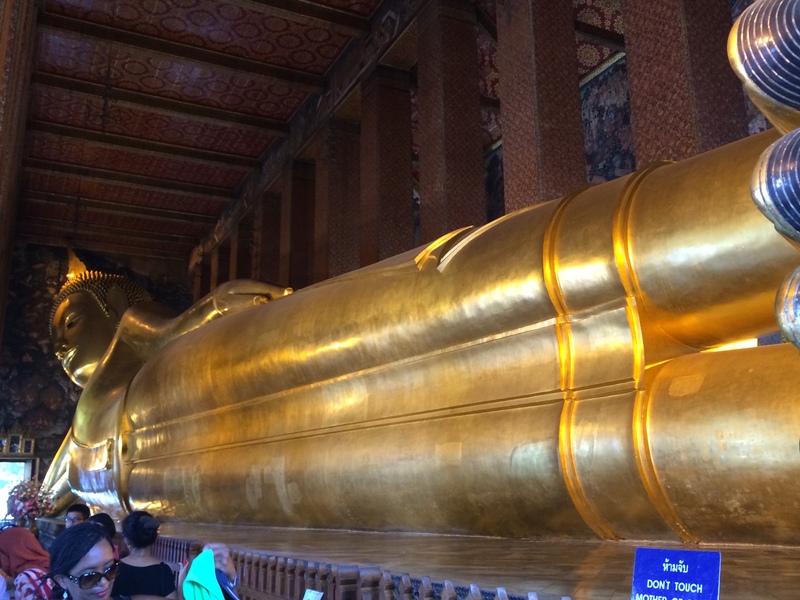 It is home to the massive Reclining Buddha, and impressive 160 feet long. 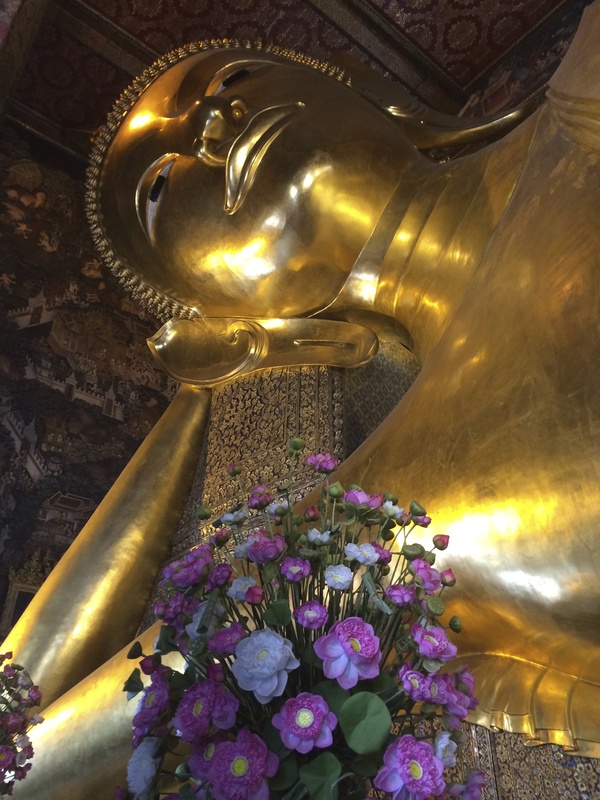 The Reclining Buddha’s face depicts the attainment of nirvana, and the feet are inlaid with mother-of-pearl. This temple is known as the home of Thai massage. There is a school on site (http://www.watpomassage.com/) where you can get inexpensive massages. 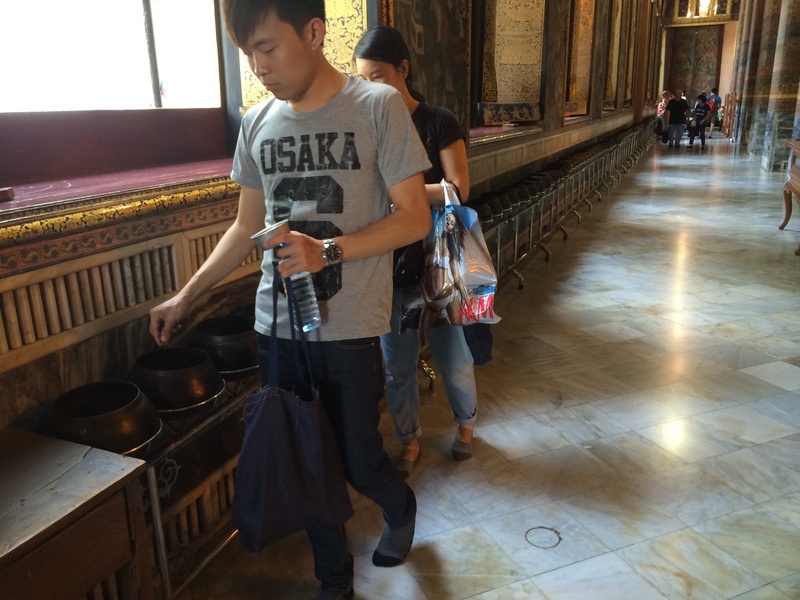 “Don’t Miss This” tip: In the corridor of the Reclining Buddha is a row of 108 bronze bowls. For a small donation, you can pick up a bowl of 108 coins. You will then go along the corridor dropping 1 coin in each bronze bowl. This is believed to bring good fortune. 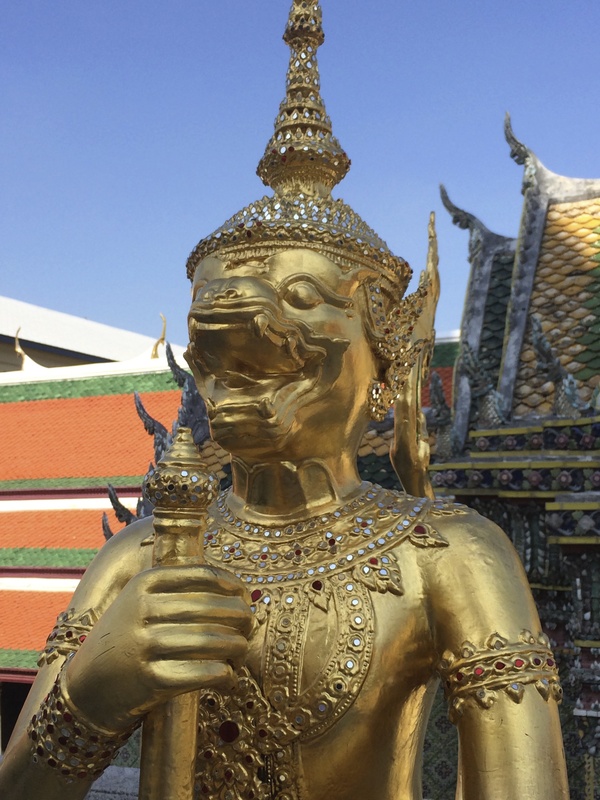 Near Chinatown, Wat Traimit is home to the world’s largest solid gold statue. It is the 700-year-old Golden Buddha. It was found by accident when it was dropped and the plaster came off. You can see the plaster on display at the temple. It weighs 5.5 tons, which is even more impressive as it’s on the 3rd floor of the temple. 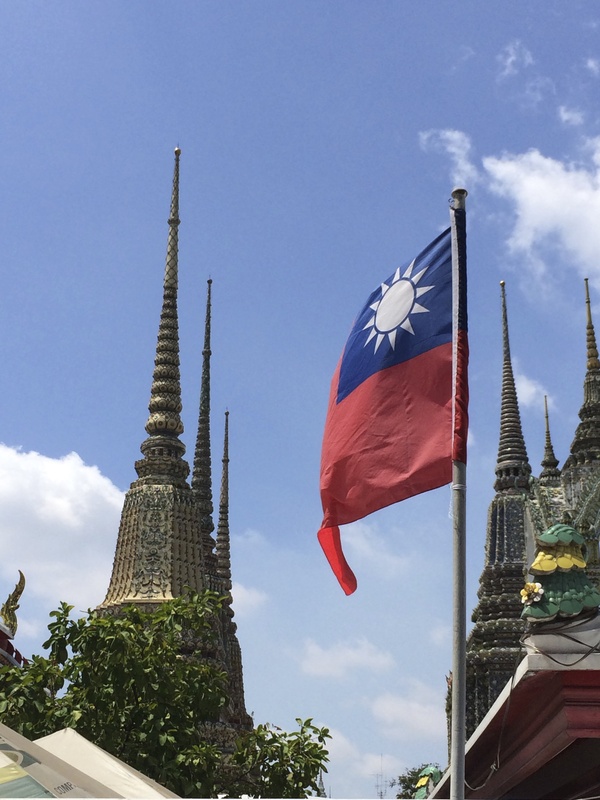 “Don’t Miss This” tip – Anytime you go in a temple, you’ll likely be required to take off you shoes. This tip might seem a bit silly, but it happened to me. Don’t leave your shoes in the sun! It gets insanely hot there, and trust me, you don’t want to run across the hot concrete barefoot to go and pick up your, just as hot, shoes! 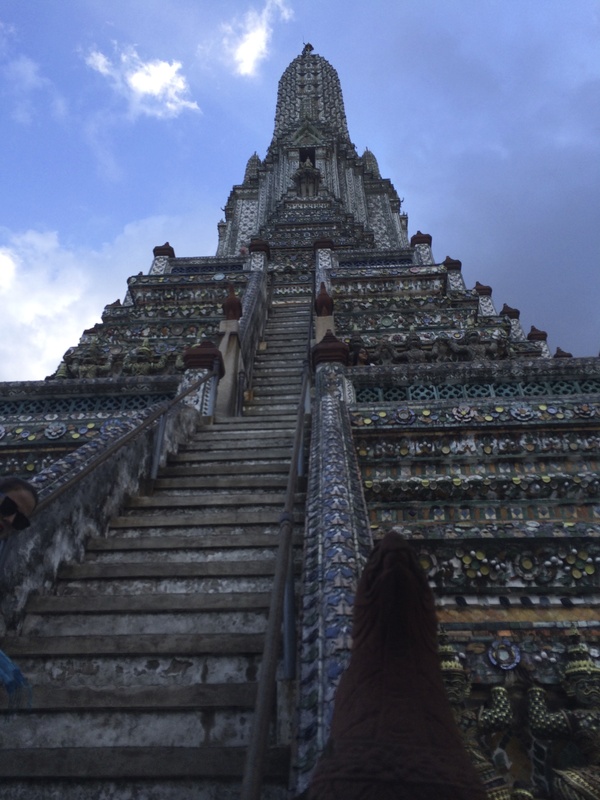 Wat Arun, or the Temple of Dawn, is one of the most fun temples to visit, because you can climb it! It’s in a beautiful spot, just on the banks of the Chao Praya river. An easy way to get there is a quick water taxi across the river from Wat Po. We visited at sunset and it really was an amazing sight. The Wat is an architectural representation of Mount Meru, which is important as it is the center of the world in Buddhist cosmology. The main pagoda is 79 meters high, and built in the Khmer style. There’s a storm coming! 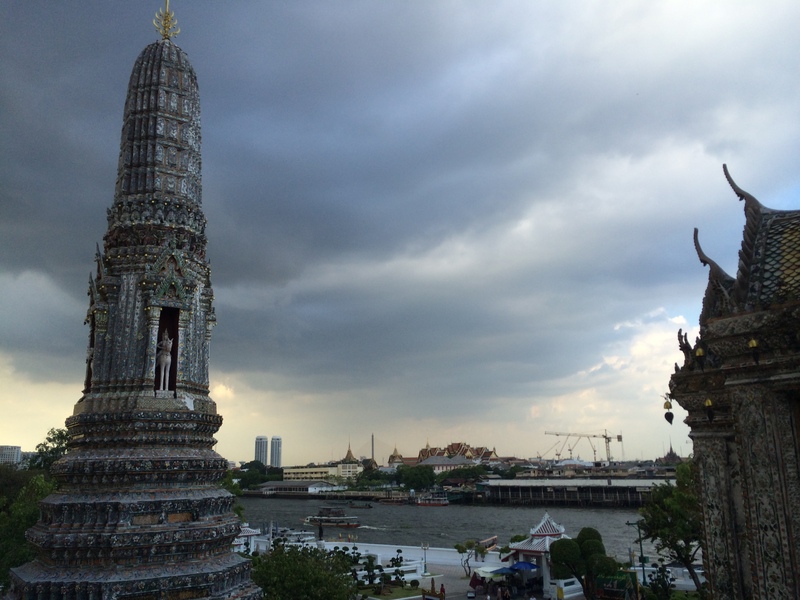 This is the view from Wat Arun looking over the Chao Praya River. Wat Benchamabophit, or the Marble Temple, was built of Italian marble in 1899. It’s know for having many European influences, such as stained glass windows. 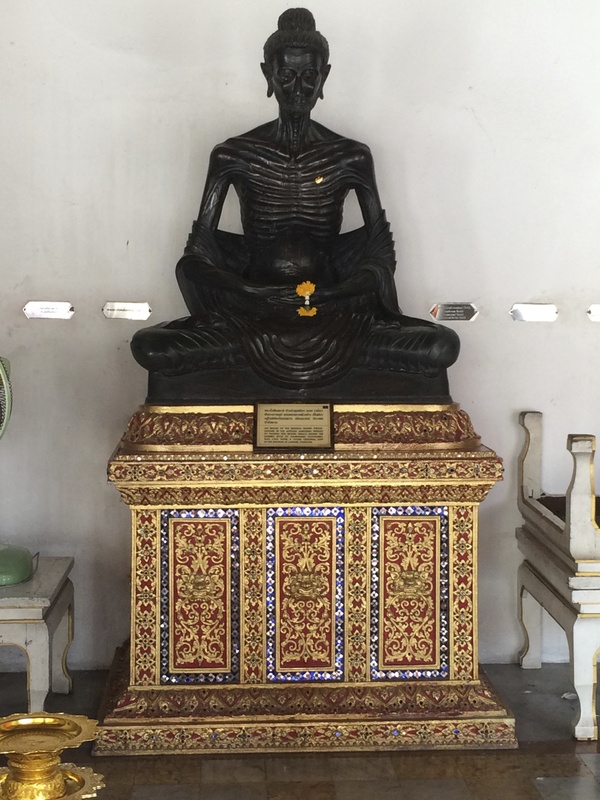 In the courtyard, there are 52 bronze statues all depicting different images of the Buddha. This one was my favourite! The next Bangkok post will feature the markets, food and more!